Mensusa https://www.mensusa.com/articles/los-altos-hats-are-meant-for-sophisticated-men.html Los Altos Hats Are Meant For Sophisticated Men Everyone desires to look good and attractive wherever he goes. For that he needs to pick out the perfect attire and along with it appropriate accessories that would complete his looks. Los altos hats are one of the prized possession of a style conscious man. They simply create a distinct style for you. A gentleman who has a decent sense of style will never overlook his accessories like the hats. More so because, a hat is clearly visible and is perhaps the most important item that draws the attention of all around. As you wear that suit style which makes you look smarter, so also choosing the right type of hat is absolutely necessary. And those who are trendy, often choose the los altos hats that create a magic in your total appearance. Los altos hats are extremely famous across the world for the variety of hats that it offers. You will find innumerable styles and wonderful features in these hats that you can easily match with your attire. The flexibility that these hats from Los Altos offer the wearers makes them all the more popular. You can change the hats in any form you wish to without damaging the hats. They are strong and well-built hats and so are extremely durable even if you keep changing them quite often. At MensUSA you will find the widest collection of the Spanish los altos hats to suit your requirements. The variety in trends and fashion help you to achieve a new look every time you step out. Some of the well-known hats from this brand are the Texas, Joan, Sinaloa, Taco, Chicago and Cali. The uniqueness of these hats is that they are designed for all ages and so young kids, teenagers as well as adults flaunt their style by wearing these hats in their own distinct ways. There are innumerable sizes of los altos hats available at MensUSA. So you need not worry about the size of the fits. Just step into the store and pick up the ones that appeal to you the most and enhance your personality. These hats can be worn for different occasions too like the wide-brimmed Mexican cowboy hat keeps the wearer well protected when he is working in his ranch or is engaged in bull-fighting. 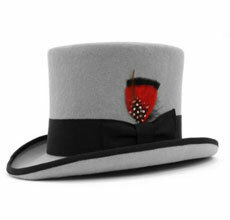 The colorful hats are embellished with bands or buckles and bows to create a different look. They are very attractive and you can instantly recognize that they are los altos hats from a distance. They are made from the finest materials that help to absorb sweat and keep you comfortable. Hats are one of those accessories that are the part and parcel of a gentleman's wardrobe. So when you plan to add hats to your closet, it is wise to spend on the best quality, most stylish and durable hats from los altos hats. The two-tone cowboy hats, Texas-style felt cowboy hats, two-tone Rodeo straw hats, and the two-tone buttercup and natura hats are simply outstanding. You cannot turn your eyes away from them. These hats add panache to your personality.